Alpinestars GP Plus VR2. Photo courtesy of Alpinestars. Let’s face it. The motorcycle jacket is stitched into the fabric of American pop culture. Going beyond Easy Rider or Marlon Brando in The Wild Ones, the form has become a staple in fashion, cinema and the American way of life. But getting all the way back to its roots and function as protective clothing for riders gives the jacket dual functionality. Fast-forward to today and we see nothing has changed. The jacket is still cool, still fashionable, and still functional. Here are three of the best touring motorcycle jackets on the market. 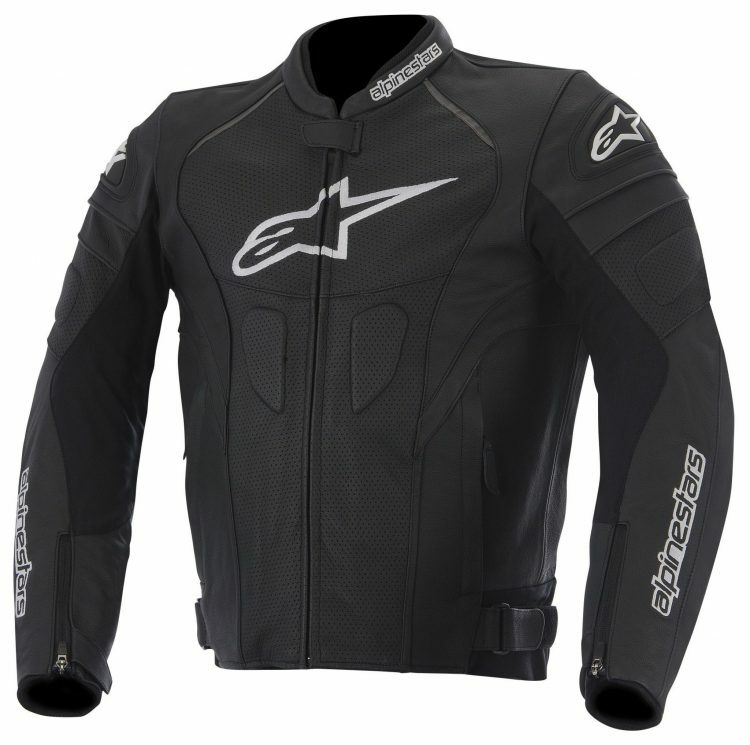 The Alpinestars GP Plus R V2 boasts a versatile look for riding or for the street. This is a strong case for everyday wear and use. It’s a robust jacket with nicely rendered stretch paneling and dorsal shells for the back. What is also aesthetic about the look of the jacket is that it doesn’t go overboard with the paneling. You have a minimal layer of leather panels that nuance and finesse this sublime jacket. When do you wear this jacket? The real question is when don’t you wear this jacket. Final verdict: this is a winner. Here’s an everyday look that transitions easily from the bike to casual wear. It holds up against the rigors of the road. And the ultimate success lies in the fact that it will protect you when you need it most. It retails for $239.95. Rev It Gibson Jacket. Photo Courtesy of Rev It Sports. The Rev’It Gibson motorcycle jacket is sublimely minimalist in its design. The jacket harkens back to the badass era of Easy Rider or The Wild Ones with its all black paneling. The leather is 1.0 mil grade. And that only further cements how painstakingly meticulous the folks at Rev’ It Sport were in rendering this return to classics look. Here’s a svelte, tailored look for those of us who want to tour in style. But you can also add Rev’It’s SEESOFT™ CE-level 2 back protector should you desire. The Gibson also can attach to your jeans. Yes, they’ve thought of everything so you don’t have to. As far as brass tacks go, the Gibson is fully loaded: CE level 1 protection, cowhide leather, safety stitching, a detachable thermal liner, and a comfortable city fit for touring in style. It retails for $469.99 and comes in black and brown. 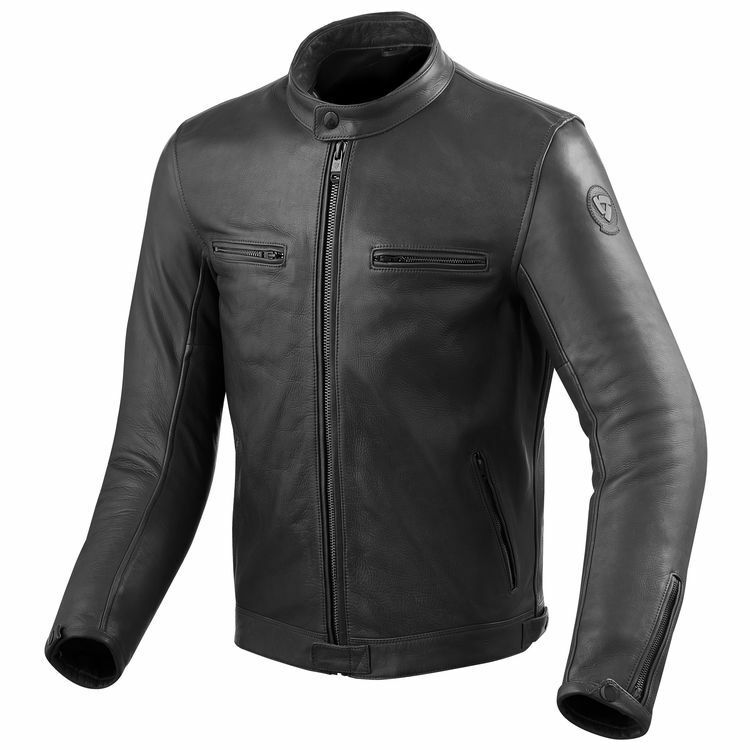 Dainese Assen Leather Perforated Jacket. Photo courtesy of Dainese. 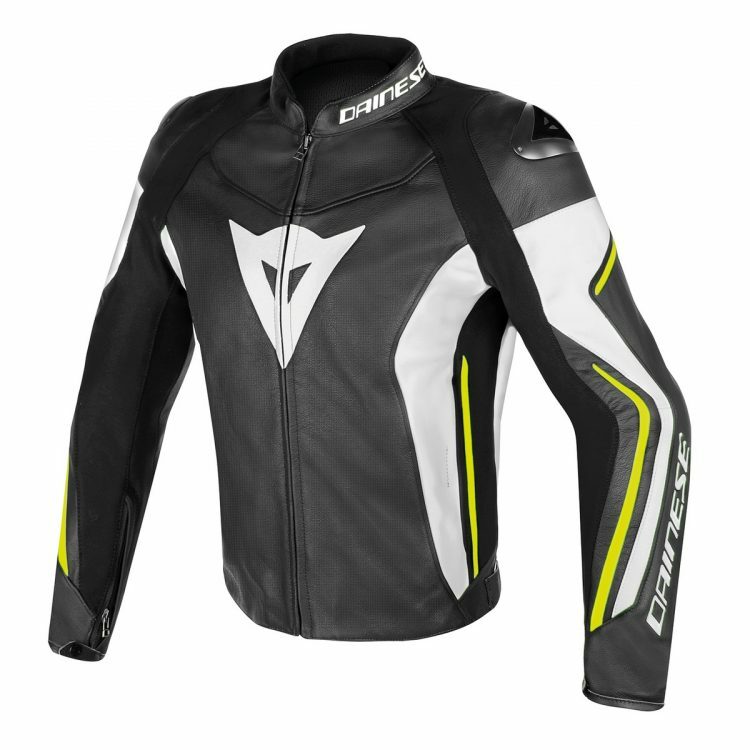 The Dainese Assen Leather Jacket also goes the route of the svelte, tailored look. It also ups its cheekiness factor with its bold demon logo emblazoned across the chest. One part hellraiser, one part urban chic. Here we get 1.0 mil grade leather that is sublimely tailored to adhere to the nuances of the body. It boasts a Tech Frame inner liner, and it breathes remarkably. The shoulders are augmented and reinforced with aluminum. And the sleeves are pre-formed for both an aesthetic look and a forward-thinking take on the natural movement of the body. Again, here’s a jacket that performs superbly on the bike. But don’t let that make you think that while riding is the only time you wear it. This look is just as badass off-road as it is on. It retails for $499.95.